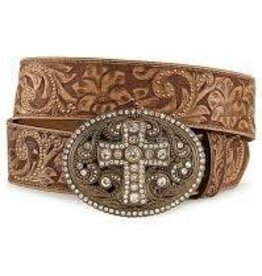 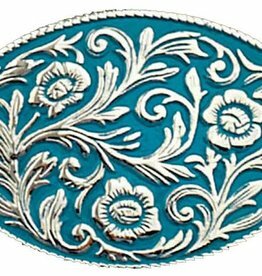 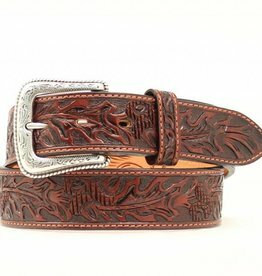 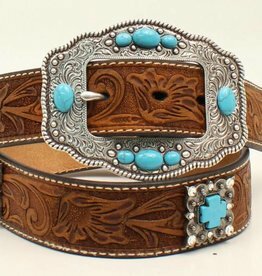 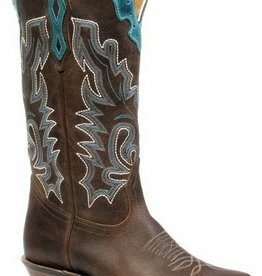 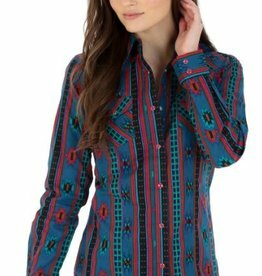 This gorgeous ladies Nocona belt by M&F Western Products has a modern western flair with country roots. 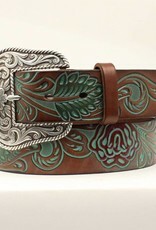 It features a tan strap that has painted roses and a leaf scrolling design. 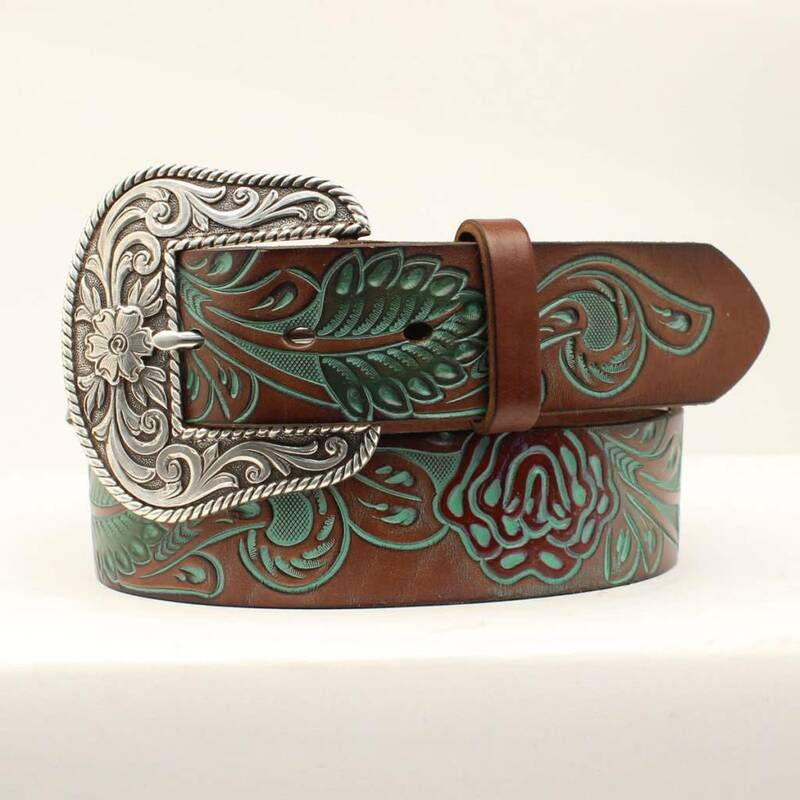 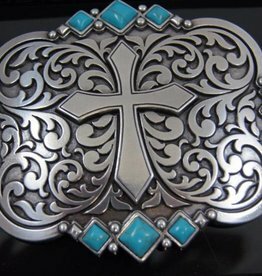 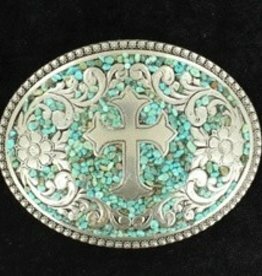 There is also a removable patina buckle. 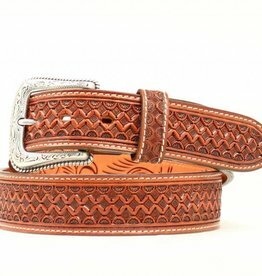 This quality belt will look good with any outfit, and will surely be your favorite.